With the level of poverty in Africa, it is not surprising to see people run from one church to another in search of a miracle that would turn their lives around overnight. 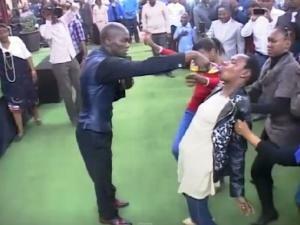 And it seems people seem to believe more in a pastor when he is controversial and does weird things. 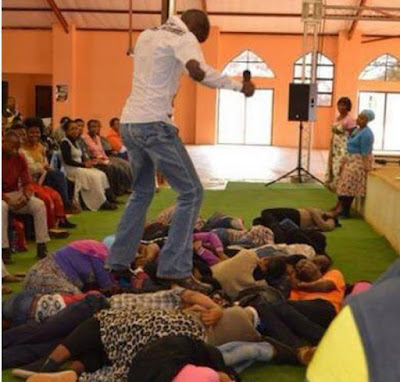 You don't believe me, then let me introduce you to South African pastor, Daniel Lesego, who walks on his followers, using them as a foot mat, with the promise of the action getting them more blessings. 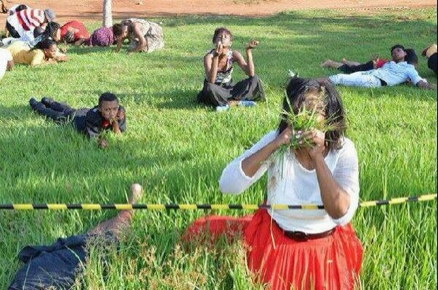 He also once commanded a bulk of his congregation to eat grass (he told them that it would bring them closer to God) growing outside the his church, and they did just that. Hmm! Unbelievable, right? Checkout the pictures to prove this below. 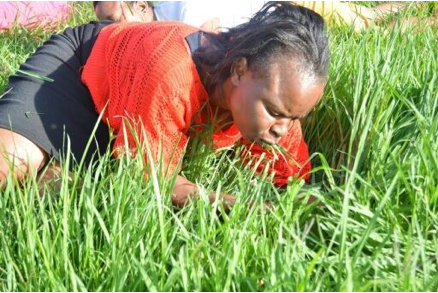 I hope he gave them some water to wash down the grass though. The name of his church is Rabboni Center Ministries, and it is situated at Zone 2 Ga-Rankuwa, north of Pretoria, South Africa. It is a free world, and people are allowed to do what they want as long as it doesn't harm the next person, but this really needs to be looked into, don't you think? 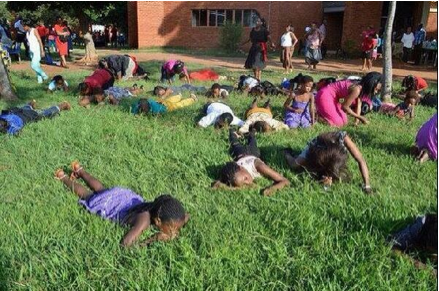 But the thing is, like the Nigerian pastor (Rev. King), who has been sentenced to death (for burning to death one of his members) this man would also have some very loyal, fanatic followers who would fight off anyone trying to show them the light. 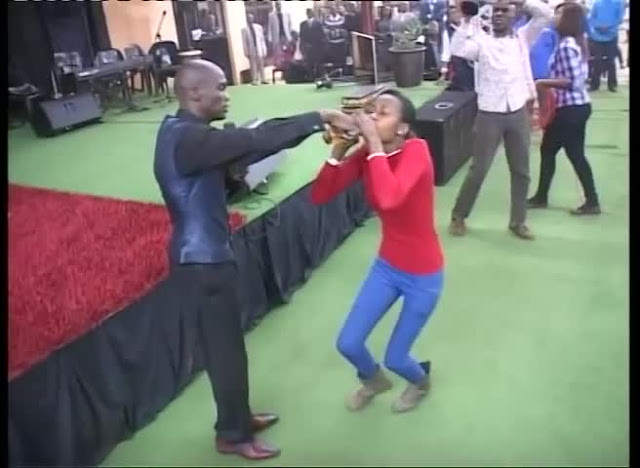 And since, really, it is not what is believed in, but the belief itself that works wonders in human beings, they would probably be getting results and think it is the pastors actions that are healing or blessing them. Not knowing that the belief in the pastor only awakens the power they already have inherent in them. Whenever Jesus healed in the Bible, he was always quoted as saying "Your faith has healed you." So, really, it is your level of belief or faith that heals, not necessarily that pastor, or prayer, or something your pastor asked you to do. His latest ordeal is asking his church members to drink petrol that it would turn to Pineapple Juice in their mouths, and they did. Well, no one knows if it was really petrol he gave them, or pineapple juice, lying that it was petrol. But the fact that in their minds, they believed they were drinking petrol, and they went ahead and drank it is really worrisome. That's really serious. It means he can command them to do virtually anything, and like minions, they would go ahead and do it. That is quite dangerous. 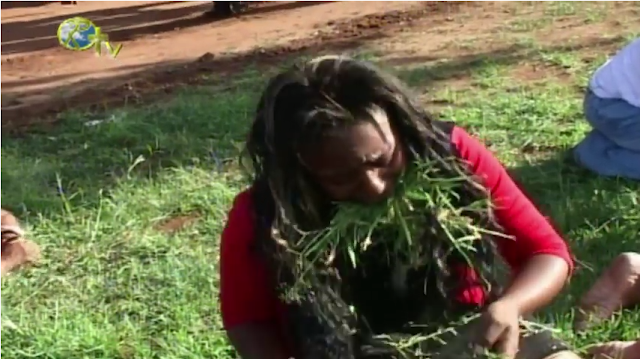 You can watch the video of the members of the church eating grass below. Be warned; the video is pretty disturbing.